The microtransaction currency in Fallout 76 is called Atoms, Bethesda boss Pete Hines told Microsoft’s Larry “Major Nelson” Hyrb. These Atoms can be spent on things like new outfits and skins. You can earn these Atoms in the game by completing tasks, or you can buy them outright with real money. 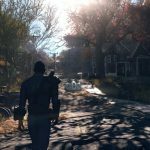 Bethesda hasn’t said yet provided any specifics on Atom pricing, however.